Please listen to the podcast "Undisclosed: The Killing of Freddie Gray"! They investigate wrongful convictions and the US criminal justice system by taking a look at the perpetration of a crime, it's investigation, the trial, and ultimate verdict... and finding new evidence that never made it to court. Three lawyers host the podcast and take a deep investigative look into the case. So far this series has been informative and interesting. You will not be disappointed. Also go to their website! 25 year-old Freddie Gray was apprehended on April 12, 2015 after a brief foot chase, suffered a broken vertebra after his arrest and died a week later at a hospital, prompting protests by city residents and out-of-town activists and promises from city officials for a thorough investigation. Police encountered Freddie Gray on the morning of April 12, 2015 near Baltimore's Gilmor Homes housing project, According to Baltimore police, officers were patrolling on bicycles and "made eye contact" with Gray, who fled on foot upon seeing them. After Gray was apprehended, police found him to be carrying a knife. The Fraternal order of police issued a scathing report criticizing the way police handled demonstrations that emanated out of an initially peaceful demonstration on April 25, 2015. On July 8, the Baltimore police commissioner was fired by the city's mayor. The problems with the Baltimore Police Department are laid out here. Police have not given a cause for Gray's injuries or specified why he was arrested, citing an investigation into the incident. Officials are expected to look into any criminal conduct by Gray and whether criminal charges against officers are warranted. On June 11, 2015, in the most detailed explanation of the charges against six police officers in the arrest and death of Freddie Gray yet filed in court, prosecutors say the officers failed to belt the 25-year-old Baltimore man into the back of a police van, and lacked probable cause to arrest him in the first place. On June 22, 2015, All six officers pleaded not guilty as a trial date was set in the case. They did so after Administrative Judge W. Michel Pierson issued an unusual order stating that the officers' arraignments, scheduled for July 2, would be canceled "upon the entry by each defendant of a plea of not guilty. Pierson also set a date for the trials for all of the officers for Oct. 13. A motions hearing has been scheduled for Sept. 2. On June 26, one report indicated that that police fabricated false reports of gang threats to quell protests. On the same day, prosecutors urged a Baltimore judge to keep the trial of the six officers charged in the arrest and death of Freddie Gray in the city. For reasons that are unclear, the Baltimore state’s attorney filed court documents Friday, June 26 asking a judge that the officers, William Porter and Lt. Brian Rice, to be tried separately from their co-defendants. On June 29, prosecutors turned over mass amounts of evidence to the defense in the Freddie Gray case including statements by the six officers charged. On June 30, more details were released on the contents of the documents turned over by prosecutors. Evidence includes: photographs of a knife, images of suspected blood found in the back of a police van, more than 8,000 pages of the accused officers' emails, two binders detailing the Baltimore Police Department's investigation, gray's autopsy report and photographs and cellphone data connected to four of the officers. The defense also received a list of 32 state's witnesses, including detectives, doctors and civilians. Among them is Kevin Moore, a West Baltimore resident who filmed part of Gray's arrest, helping to draw national media attention to the case. Five of the six officers charged in the case of Freddie Gray reportedly asked that the statements they provided to police be discarded in court proceedings about the 25-year-old Baltimore man’s death. prosecutors deny that statements made by officers charged in his death were obtained illegally. In a motion, the state said it would seek sanctions against lawyers for the six officers charged in the case for "brazenly making up false facts” to support legal motions without suffering any consequences. Prosecutors in the case are asking a judge to quash subpoenas that compel State's Attorney Marilyn J. Mosby and other prosecutors to appear as witnesses at the first court hearing in the case. The subpoenas obtained by Flynn, who represents Officer Garrett E. Miller, require Mosby and other prosecutors and investigators to attend the Sept. 2 motions hearing as witnesses in the case. That could cause key prosecutors to be sequestered from the proceedings. A subpoena was also sent to the state medical examiner who performed Gray's autopsy. The judge in the case awarded the defense one major victory on September 2, granting six separate trials for the officers involved, but refused to throw out the case entirely, or have state's attorney Marilyn Mosby removed from it, as defense attorneys had requested. On September, 8, 2015, Baltimore officials announced that they had reached a $6.4 million wrongful death settlement with the family of Gray. The deal still must be approved by the city’s Board of Estimates, the governing body that oversees the city’s spending. That group, which includes Baltimore Mayor Stephanie Rawlings-Blake (D), is expected to meet Wednesday. On Thursday, September 10, 2015, a judge in Baltimore ruled that the trial against the six officers charged in the death of Freddie Gray would not be moved out of Baltimore. On September 29, 2015, a report revealed that Gray asked for medical help while in custody. 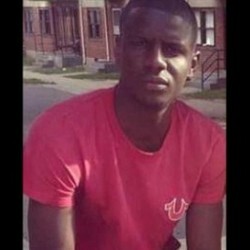 Reported October 20, 2015: defense attorneys for the first Baltimore police officer due in court in the Freddie Gray case have asked that jurors be fully sequestered during trial: put up in a hotel with no access to cellphones, limited access to television, and sheriff's deputies monitoring any interactions with family and friends to lessen pressure for a conviction. On October 30, 2015, Business Insider reported that the FBI flew 10 spy planes over the Freddie Gray protests. On December 19, 2015, the judge declared a mistrial in the case of the first of six officers to be tried in the case. In early March, it was reported that Maryland's highest court as appeals would take up the question of whether an officer could be forced to testify against his fellow officers. The trials of all of the officers were halted during the appeal determination. Maryland's highest court ruled Tuesday, March 8, 2016 that Officer William Porter must testify against all five fellow officers charged in the death of Freddie Gray, and sent the cases back to the lower court for trial..
On May 23, 2016, the second officer tried in the case, Edward Nero, was acquitted on all charges. June 09, 2016 Trial of officer Caesar Goodson the van driver begins Thursday and he has chosen a bench trial before a judge rather than a trial by jury. On June 22, Goodson was found not guilty on all charges, including the most serious count of second-degree depraved-heart murder. Baltimore officer Edward Nero, who was also acquitted in May of assault and other charges by the same judge, clasped his hands and said, "Yes!" On June 30, 2016 it was reported that a George Washington University Law professor had filed a 10-page complaint with the Maryland Bar Association, alleging that Baltimore City State's Attorney violated ethics rules in prosecuting the officers in this case. July 2016 The highest-ranking Baltimore police officer charged in the death of black detainee Freddie Gray should have secured him in the transport van where Gray broke his neck, a Maryland prosecutor said on Thursday at the start of Lieutenant Brian Rice's manslaughter trial. July 2016 Prosecutors in Baltimore failed for the fourth time to secure a conviction in the Freddie Gray case, with Circuit Judge Barry G. Williams acquitting Lt. Brian Rice of all charges Monday related to Gray's arrest and death. August 2016 Baltimore police officers routinely discriminate against blacks, repeatedly use excessive force and are not adequately held accountable for misconduct, according to a harshly critical Justice Department report being presented Wednesday. May 2017 Officers involved in the Freddie Gray case are now facing termination. On November 6, 2017, law enforcement officials began deliberating over Baltimore Police Officer Caesar Goodson Jr.’s professional future following the conclusion of his administrative trial on 21 charges of violating police policies during the 2015 arrest of Freddie Gray. Update (4/27/15): Rioters in northwest Baltimore looted stores and pelted riot-gear-clad police with rocks on Monday, hours after Freddie Gray, the 25-year-old black man who has become the nation’s latest symbol of police brutality, was laid to rest amid emotional calls for justice and peace. At least seven officers were injured and one was “unresponsive,” Capt. J. Eric Kowalczyk of the Baltimore police told reporters. In response to the violence, Gov. Larry Hogan declared a state of emergency in Baltimore and activated the National Guard. Additional state police were sent to the scene, and officers from surrounding counties were also brought in to respond. On April 30, 2015, Kevin Moore, the man who filmed Freddie Gray's brutal arrest, was himself arrested following "harassment and intimidation" from Baltimore police. Moore was arrested at gunpoint last night along with two other members of Cop Watch, a community dedicated to filming and documenting police work. On June 7, 2015, More than a dozen civil and religious groups calling for police reform in Baltimore announced "Freedom Rides" to Annapolis to spread their message. United States Senators Cardin and Mikulski have both offered federal legislation in response to the Freddie Gray case. In July, 2015, a local artist shared his photographic work capturing the community unrest following the death of Freddie Gray. On July 29, it was reported that Rihanna was prevented from holding a free concert for Freddie Gray. On October 23rd, it was reported that Freddie Gray's mother attemptted suicide. June 2016 witness speaks out. November 2017 The not guilty verdict absolves van driver Goodson of any wrongdoing in Freddie Gray's death and allows him to keep his job with the Baltimore Police Department.